The future is female. 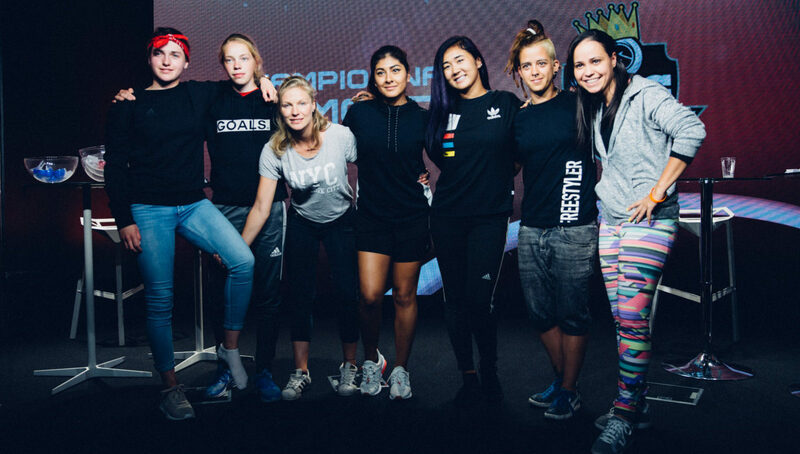 As one of the world’s quickest growing sports, freestyle football’s women’s side looks to have a huge 2019, with more competitors and competitions, as well as a new administrative role in the World Freestyle Football Association. Around the world, women in sports are coming together against all forms of discrimination, bias, and barriers. From the tennis player to the football player, ladies are striving to inspire generations to break down barriers and pursue their dreams. And the female football freestyle community is no different. Although it saw a huge improvement in 2018, with a record amount of participants at several major tournaments including Super Ball, 2019 is poised to be the biggest year yet for the women in freestyle. From new roles created by freestyle’s governing agency to women’s competitions heading to new countries, we take a look at a pair of reasons why every freestyler should be excited for what’s to come this year. In early February, the WFFA announced Laura Biondo as the first-ever Head of Female Development. From looking to increase the amount of girls joining the sport to improving the overall women’s freestyle experience, this position is paramount to the push towards full equality in freestyle. As we can expect from the ambitious and forward-thinking Biondo, she has plenty of items on her agenda to achieve her overall goals. Biondo recently made her first official announcement, sharing the WFFA’s plan to initiate a series of online competitions that are going to give girls the ranking points they need for invite-only competitions. According to the WFFA, the Women’s Freestyle League is hosting its first online competition from March 15 – May 31. Judges and prizes are still unknown, but the girls are buzzing with excitement as they await on more details to release. The WFFA looks to continue supporting and building a sport with equal opportunities for all. As the wave of female development increases, the Los Angeles freestyle community is following the lead by looking to initiate the first female-specific competition in the United States. 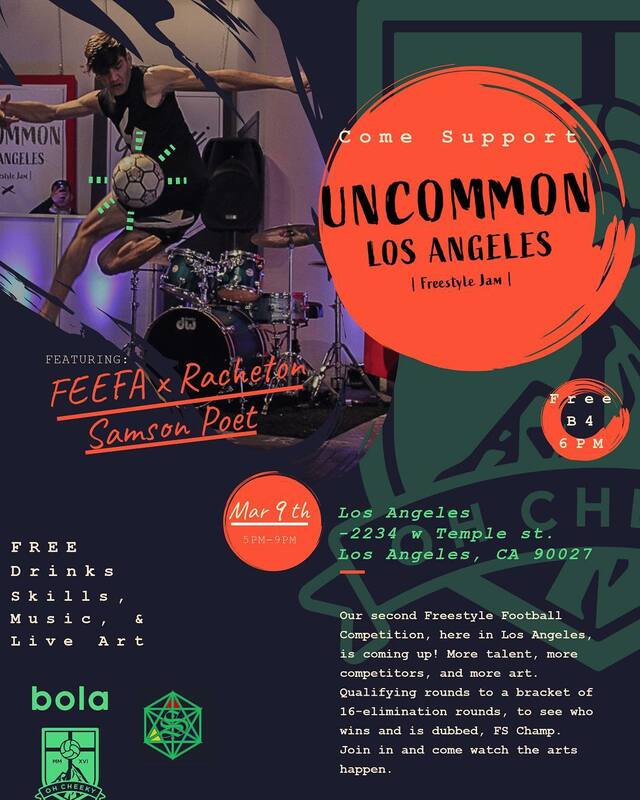 Oh Cheeky and Bola launched the Uncommon LA freestyle competition in mid-December of last year, with the intention of giving local freestylers the opportunity to gain experience and prepare for upcoming international and domestic competitions. Kevin Medina, one of the event’s organizers, hopes to expand Uncommon LA across different cities in the U.S. The competition will return for its second edition on March 9 at DAF Studios in the heart of LA. As it was the first time around, the tournament is open to both men and women. Uncommon LA announced that there will be one-minute qualification routines for the girls. But will there be a female-only competition? Alongside the organizers, Caitlyn and I are urging girls across the country to come out and compete. Word on the street is that a few girls are flying out from the East Coast and possibly internationally to participate in the competition. With a minimum of eight girls needed to organize a female tournament and only seven confirmed just days away from the event, organizers are urging girls to partake in what will be a monumental moment for the U.S. freestyle community. Whether it be on a national or international level, one thing is undeniable. The female freestyle scene is growing and changing this year. The ladies are taking center stage and they do not plan on stepping off.